An under the sea wand is what every young mermaid or merman needs to explore the ocean waters! This DIY mermaid wand craft is fun to make and calls for kids to engage their creativity. The ocean is full of magical and mysterious wonder! Setting off on a quest to discover the deep blue is sure to be an amazing journey any day of the week. 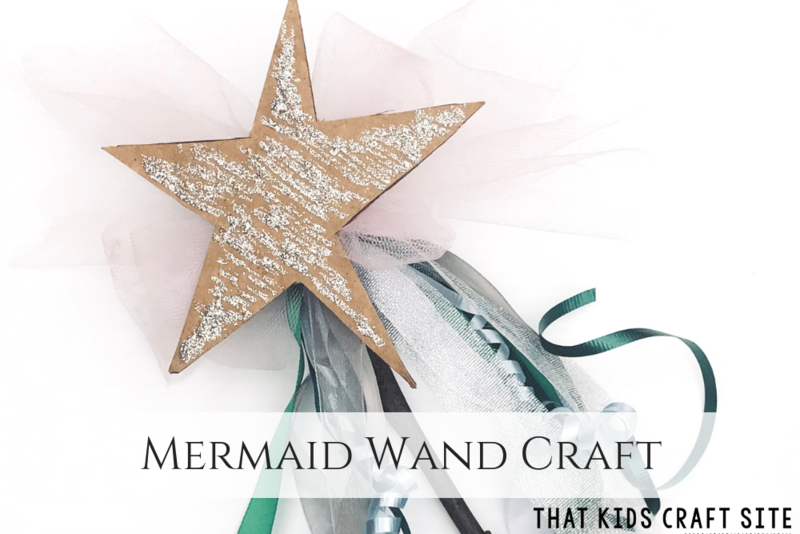 With a small wave of this majestic under the sea mermaid wand craft, little ones will be encouraged to let their imaginations run wild as they turn a regular ordinary day into an exciting marine adventure. 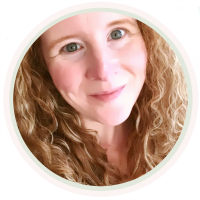 Imaginative Play – Mermaid Style! Let’s discover this mysterious place under the sea with a little help from our mermaid and merman friends. Creating this shimmering one-of-a-kind mermaid wand with children will open up an extraordinary world where they can uncover secret sunken treasures and meet underwater creatures with just a splash of delightful mermaid magic. Waving this under the sea wand with a small swoosh here and a fancy flick there will bring many marvelous moments for little ones to enjoy. An abundance of amazing adventures are just waiting to be shared with all your children’s fabulous friends both below in the sparkling waters and above on the sandy shores. We put together this under the sea mermaid wand craft with a few simple supplies we already had on hand. We found these materials in our leftover stash from other projects. 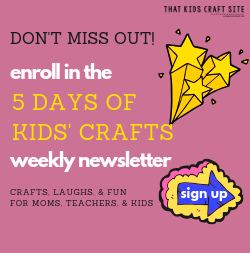 Free and low-cost crafts? Yes, please! 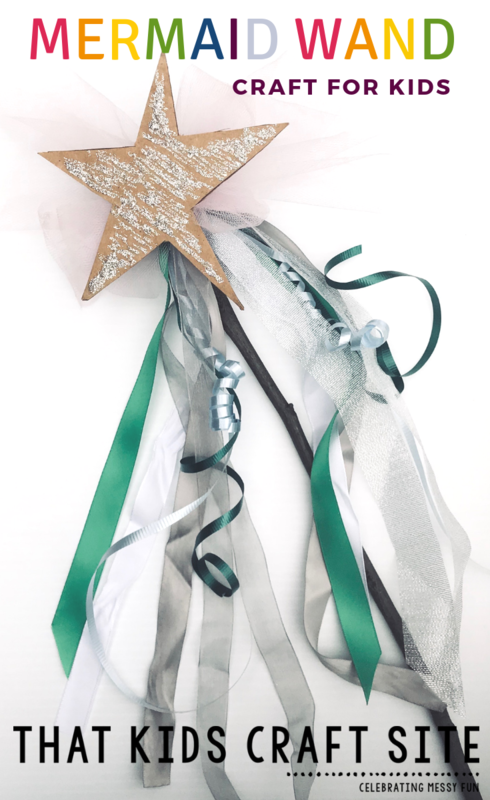 Some of the items included a few different colors of ribbon and tulle, a starfish we cut out from cardboard, and a straight twig we found outside while scavenging for our twig tree craft. With several knots, a dash of glitter, and a spot of hot glue, we created our magical mermaid wand in a few simple steps. Let’s not waste any more time; it’s time to start crafting! Cut out a star from the piece of cardboard and decorate with glitter glue for your fancy starfish. Let dry. Make some mermaid magic by pretendingto be the most magnificent mermaid around! *Hot glue and hot glue guns should ONLY be used by adults! Mermaid crafts are so much fun to make! 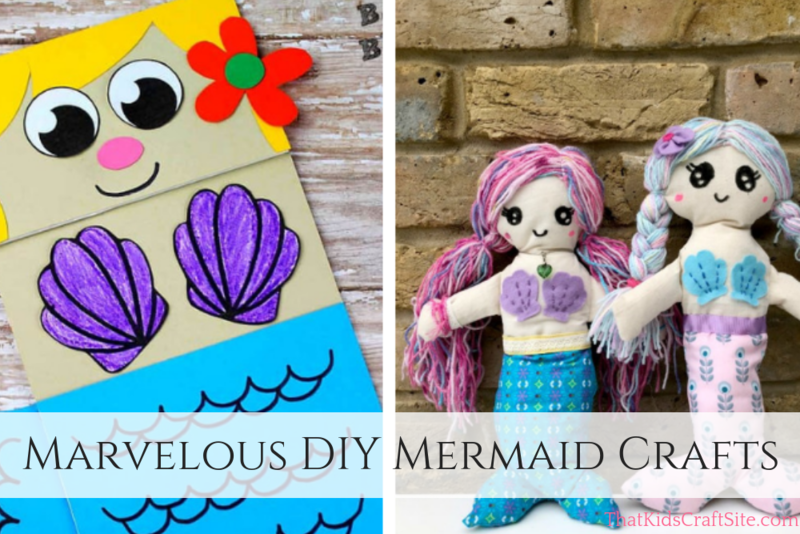 Check out these other marvelous mermaid crafts for kids! Want to print out this craft so you can take it with you or work offline? No problem! Simply click the print button in the card below and you’ll be able to print it out in no time! Happy crafting! This mermaid craft gives kids a chance to make their own under the sea mermaid wand for imaginative play! The best part? 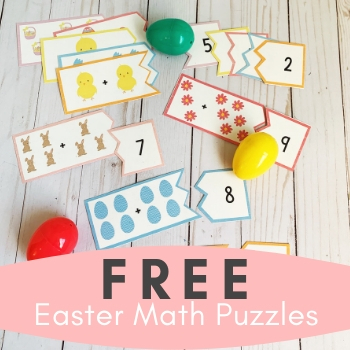 It uses craft supplies you probably already have around the house! Make some mermaid magic by pretending to be the most magnificent mermaid around!